TERMS & CONDITIONS - claudia-webers Webseite! “Booking” means the period for which you have paid to stay at the Property.  “Property” means Aber House, High Street, Barmouth LL42 1DS, United Kingdom and all its fixtures, fittings and equipment. “Management” means the owners and managers of the Property. "Guests" means the persons who stay overnight in the Property during the Booking. "Visitor" means a person a Guest permits to visit the Property during the Booking. Check-in time is not before 3pm on the arrival date and check-out time is no later than 10.30am on departure date. Late departure is subject to prior arrangement and availability. For a late departure after 5pm, 50% of the room price will be charged. A deposit in the amount 100% of the first night is charged upon the reception of the Booking or shortly thereafter. We accept credit cards. Bookings are not confirmed unless and until the deposit is received. Any open rest-payment is to be made in full by credit/debit card or in cash upon check-out. You will be given a confirmation of your payment. The cancellation of a booking is free of charge when Management is notified up to fourteen days before arrival. In the event of a cancellation within the fourteen days before arrival or no-show, 100% of the first night will be charged. Should you be eligible for a refund it will be made through our card processing system and then credited to the credit card linked to your Booking. We will normally credit refunds within 10 days following the cancellation. A variation of the Booking during your stay which reduces the number of nights stay will be a treated as a cancellation of the Booking in respect of those nights and is fully charged in respect of those nights unless Management can sell the rooms accordingly. We welcome well-behaved dogs or pets free of charge. However, the pet owner/guardian may be responsible for any additional cost for deep-cleaning, repair and replacement of damaged facilities should these be required. If we feel that your pet is causing a nuisance to other guests or barking incessantly during the stay, we will ask you to leave. A maximum of two small dogs or one large dog is allowed in your bedroom. You must not leave pets unattended in any rooms. Please notify the Management in advance that you are intending to bring such dog(s)/pets with you. Visitors to Guests of the Property who stay overnight will be charged in the amount of £25 per night. The charge includes the extra-bed, bedding, towels and breakfast. These Terms and Conditions apply to Visitors. Please note that smoking is not permitted in the rooms and throughout the building. One set of keys including one key for the main entrance and one key to the room is handed over upon check-in. A second set of keys is available upon request. The Guests are responsible for the keys. For any loss we charge £100. All our rooms are located on the first or second floor, and so require all guests to negotiate one or two flights of stairs. A free car park is available at the Property. You park at your own risk. Breakfast is served between 08:30 and 10:00 each morning (unless arranged otherwise). Wi-Fi is available in all bedrooms and can be used free of charge for email and browsing the internet. Downloading and streaming are not permitted. The hotel accepts no liability for lost items.